After some recent gains for precious metals last week was less impressive, with falling values right across the sector. In general the losses weren’t serious, though – enough to be noticed, not enough to signal a renewed slide in the market. Based on the performance of equities it was a normal investor response to climbing US share prices, and with the current economic outlook there’s a good chance we’ll see metals rising again soon. There certainly doesn’t seem to be any loss of confidence, and demand for industry and jewelry remains solid. Gold began the week heading up, coinciding with a slight drop in the Dow, but turned round and dropped $22.30 over the rest of the period. Most of that happened Tuesday and Wednesday, with the slope leveling out through Thursday and little movement Friday. Again that links to equity prices – the Dow’s rise tapered off at the end of the week and gold seems to have stabilized in response. That raises hopes that, if share prices correct downwards this week, gold will gain back some value. Silver saw a generally similar pattern, with the exception that its initial climb was longer and higher – it almost touched $16.40 on Wednesday before heading down. The final price for the week was $15.535, a loss of 27.5 cents over the previous Friday. That’s obviously a disappointment but there are signs that silver demand is a lot stronger than the spot price indicates. The US Mint is predicting record sales of silver coins, and the already impressive numbers would be higher if coin stocks had been large enough to meet all bids. As for platinum, the price started the week heading down but recovered strongly on Wednesday to break $1,010. It then settled back and closed at $984, a drop of $15 from the week before. That’s one of the smaller losses in the sector last week, so again platinum looks pretty robust. After holding its value the week before, palladium dropped with the rest of the sector last week. A fall of $18 took it to $674 by Friday afternoon, and at just over 2.5 percent that was one of the largest relative drops. There were signs of recovery later though – much of the slide was on Wednesday and Thursday, bringing the price down to a low just above $665, but Friday saw it start to climb again. Palladium seems well placed for a recovery this week and there’s definitely no shortage of industrial demand for it. 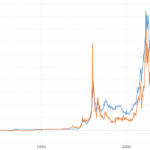 Finally, rhodium seems to have taken back its place as the weakest of the precious metals. A sharp drop on Monday, followed by further losses towards the end of the week, saw the spot price fall $35 to $750. That’s not quite a new low but it’s only a few dollars away from it, and this week could see it hitting that unwelcome milestone. Again we don’t recommend buying rhodium at the moment – wait and see where it finally hits a hard floor, and that could easily be below $650. So not a great week, but it does look as if the link between metals and equities is firming up again. If that continues, and US exporters and energy producers continue to struggle, we could see a solid recovery over the next few weeks. 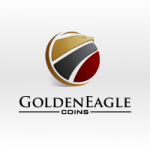 Clint is the director of marketing at Golden Eagle Coins. Son of Richard Stelfox, co-founder of the company, Clint has been living and breathing coins his entire life. After trading for a Philadelphia Stock Exchange firm for several years Clint returned to give Golden Eagle the online presence it has today. « Silver Eagles Just $2.99 Over Spot Per Coin – Any Quantity!